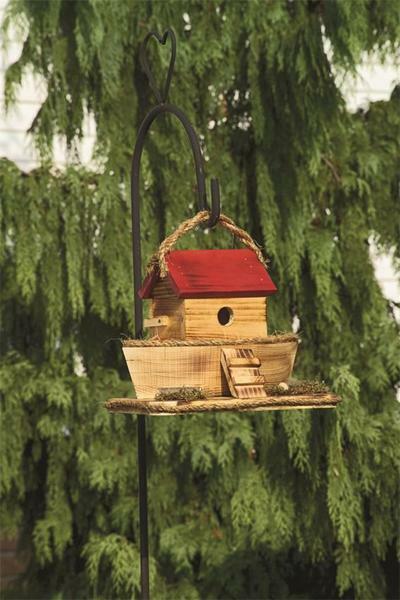 Modeled after history's best shelter from the storm, this beautifully handcrafted Noah's Ark bird house promises a safe and warm home for your garden's most important visitors! Our Amish master craftsmen dedicate their lives to their work, and the results are plain to see in the incredible quality and attention to detail of this particular bird house. Simply hang it from a hook or wire, and then sit back as it draws new life to your outdoor space with its heartwarming design. Choose from a selection of colors above to find your perfect match. If you have any questions at all, please just give us a call - we'd love to talk with you.